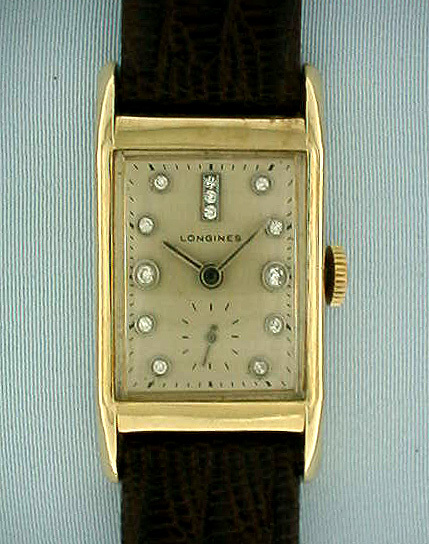 Longines 14K gold rectangular vintage wrist watch with diamond dial circa 1950.Nickel 17 jewel calibre 9LT movement. Original dial with 13 diamonds. Case back with inscription.